Please check the measurements before purchasing. 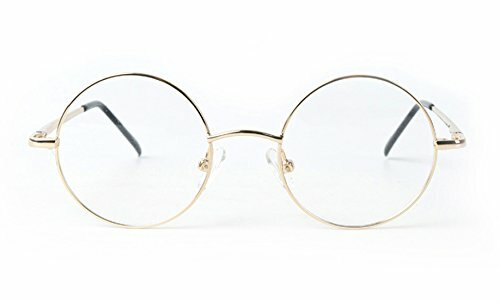 These metal frames come with clear lenses,that will not hurt your eyes.you can wear them for costume or fashion purposes. There are side screws on the frames,so you can put your prescription lenses into these frames at the local optical store.It's good for prescription lenses(capable of progressive or bifocals lenses). If you have any questions about this product by Bestum, contact us by completing and submitting the form below. If you are looking for a specif part number, please include it with your message.